I’m sure that we all hate acne scars, and would do anything to remove them. They can bring down our self confidence and much more! 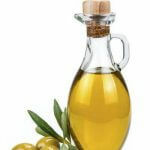 Here are 6 healing oils that can help get rid of and heal dark spots caused by acne. Please know that they may not work for everyone, but it’s worth it to at least give each one a try. 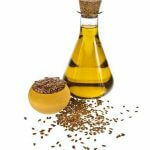 Flaxseed oil is high in omega 3, which is a healing type of oil, and is a great remedy for scars. This is an oil rich in Vitamin A, C, B1-2 and E, which has an amazing effect on healing damaged skin. Since acne scars are caused by skin damage, this is a great healer with lots of anti-inflammatory properties. 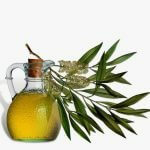 Tea tree oil is a very powerful anti-bacterial and anti-fungal oil with a strong smell similar to eucalyptus. Tea tree oil can prevent dark spots from forming before they even happen. There are lots of Vitamin A and retinoic acid in this oil, which is absolutely brilliant for reducing scar pigmentation and repairing damaged skin. Olive oil is amazing and can do wonders for your acne scars by speeding up the healing process so your dark spots fade pretty quickly. You can do that by massaging olive oil into the scarred area. 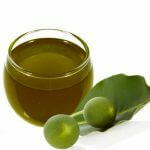 comes from the plant called Jojoba, native to Mexico and parts of California. This oil can trick your body into thinking that it’s made enough oil, so that you don’t get as oily on your skin. It also treats the redness and prevent scars from forming. 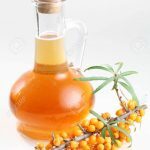 Tamanu oil is a very powerful and healing oil with the ability to repair skin and heal scar tissues, not only on the new tissues but for old ones too. 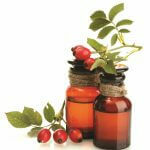 This oil comes from the Tamanu tree and is native to a the South Pacific. 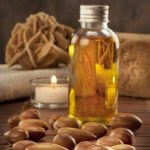 Argan Oil comes from the Argania Spinosa tree and has an incredible amount of healing properties on scarring. 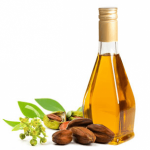 The linoleic acid can prevent your skin from being clogged, the antioxidants can decrease skin inflammation and oleic acid helps your skin create a healthy amount of sebum, that evil thing which can cause acne. Next time, I will be writing an article on the different foods that can help get rid of acne dark spots and scars. Stay tuned!